The story of one remarkable entertainer! There are many talented people in the world of Music and Entertainment. 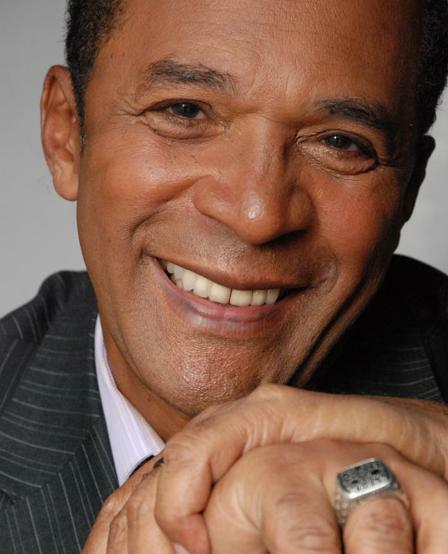 Few have been successful on the Broadway stage, television, and film since the late 60's. Melba Moore has done them all and continues to perform better than ever! Copa: How did you get started in the musical production of "Hair?" Melba: I have to go back to the days when I determined that teaching school was my second love, I needed to try at least to see if I could be a professional singer. My mother was such a wonderful example of the glamour and the love and joy with my Stepfather experienced ...in being musicians. I told my Stepdad that I didn't want to teach anymore and asked to see if he could help get me established in the industry, so he took me around to some of his associates back in New York City. At one of the places I met Valerie Simpson who happened to be a background singer and an aspiring composer, we exchanged numbers. She invited me to do some session work with her so I really the industry as a studio singer for commercials and backup for celebrity recording artists at recording sessions. Galt McDermot who wrote the music for "Hair" was recording his own album, and when the recording was finished Jim Riddle and Jerry Ragney who were helping Galt produce his own performance of the music from "Hair" invited everyone who was in the session to come down to sing for the director and the producer. They were still casting for "Hair" so I went down and sang for the director and producer and got accepted into the first Broadway show which was "Hair"
Copa: When you auditioned for the producers and the director of "Hair", was there a specific role you had in mind? Melba: No, because I had no idea, I really had never been to a Broadway show. Let me tell you in detail how it happened. Galt McDermot is a very sweet looking person but Jim and Jerry didn't have any shoes on, they had faded well worn jeans and wore these tie dye tee shirts. The colors were all mixed up in crazy ways. Jerry Ragney had this bright bushy curly hair that looked as if he got his fingers were stuck in a live plug. The only thing I knew about Hippies is what I saw on TV, so the one who looked all crazy and wild came up to me and asked me if I would like to do "Hair." I told him that I did not have a degree to do anyone's hair, you are the one who needs a hairdresser! Later he explained to me that it was going to be a Broadway show! Copa: What sort of performances did you participate in when you first started? 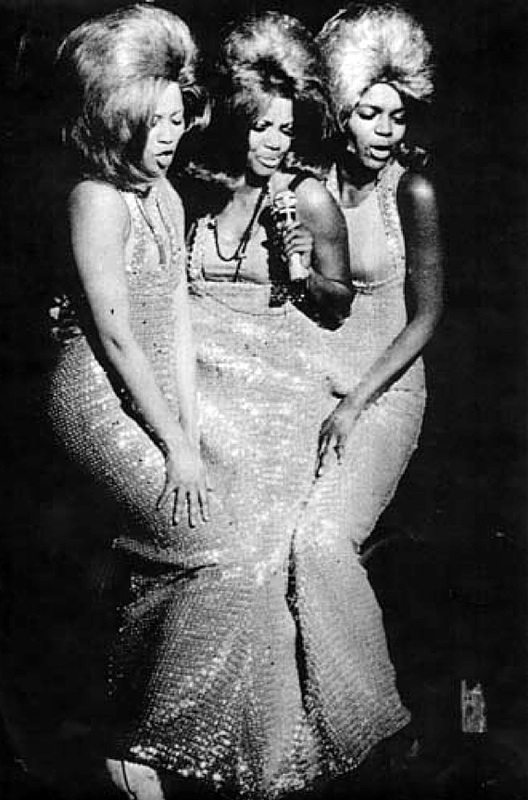 Melba: So I was included in the play "Hair" and performed in various ...vignettes, my character was Dion, one of the popular features in the show was a parody of the Supremes, we all came out in this one dress on this high platform that rolled out, you really didn't know what was happening until we popped out. It was a whole series of jokes and wonderful parodies on situations in society. But after being in it for a year the female lead of the cast ("Sheila") left to act in a film so they put the role up for anyone to replace her. At the time there were many actors who were changing roles. So I auditioned for it and received the female lead and replaced Diane Keaton to become the first Black actress to replace a White actress in a lead role on Broadway. Copa: How did you become part of the cast of "Purlie?" 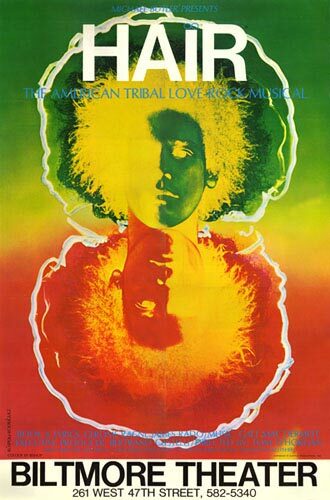 Melba: At the time I did not have a Manager or agent, I was still performing in "Hair", one of the girls that was in the chorus of "Hair" told me about auditions for "Purlie" who shared the information with me, a very nice young woman. She explained to me what type casting was and encouraged me to look like the character's role as much as possible. I was really learning how to audition properly for the role, I really didn't audition for "Hair" that actually came about from performing in a recording session so I was following her advice to make the rounds. I was able to do the reading very well because when I got there I apparently looked like the part, I was able to do the reading very well because the character was very much like my Nanny who had raised me who was from the backwoods of the South, she was orphaned and also illiterate and could not read or write. I had a deep Southern accent for the first few years of my life so it was natural for me, so I ended up getting the role and of course it put me on the map, I received a Tony Award, Television show and eventually got my own recording contract as a lead singer not just as a background singer. So this totally changed my life...I received all of this from being in "Hair." Copa: How long did you perform as "Sheila" in "Hair"? Melba: About a year in a half. Copa: How long did you perform in "Purlie" and were there any great memorable moments you would like to share with our readers? Melba: ABSOLUTELY ! 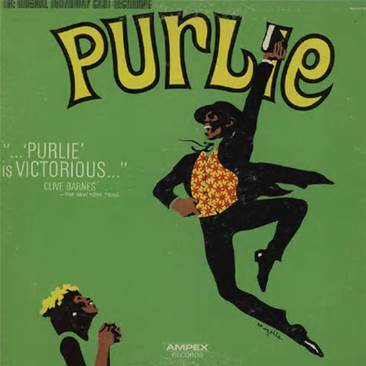 All of the actors were great, first Cleavon Little, Novella Nelson, Sherman Hemsley, Linda Hopkins, there was much incredible talent in the cast of "Purlie!" At the time that was very intimidating to me because I was going there to learn to audition, I didn't know how to audition let alone be a seasoned actor. I really felt like a fish out of water, but they became my family, I know now that when you join a cast it's very important that there are people who are of like minds because they really do become your family. They really helped me to become comfortable with taking the stage directions, and keeping my character focused. They were such good actors I was in such awe. In "Hair" when I played the lead role of "Sheila" she had a lead role but a lot of times she was really part of a 'tribe', with the character of Lutiebelle Gussie Mae Jenkins, she had to be herself, she was never a part of a tribe, she had to be Lutiebelle a little girl from the South, she couldn't speak like she was a New Yorker she couldn't forget who she was, so she had to be sustained in this wonderful play that had to stick to clear story lines, that was a great step up for me. 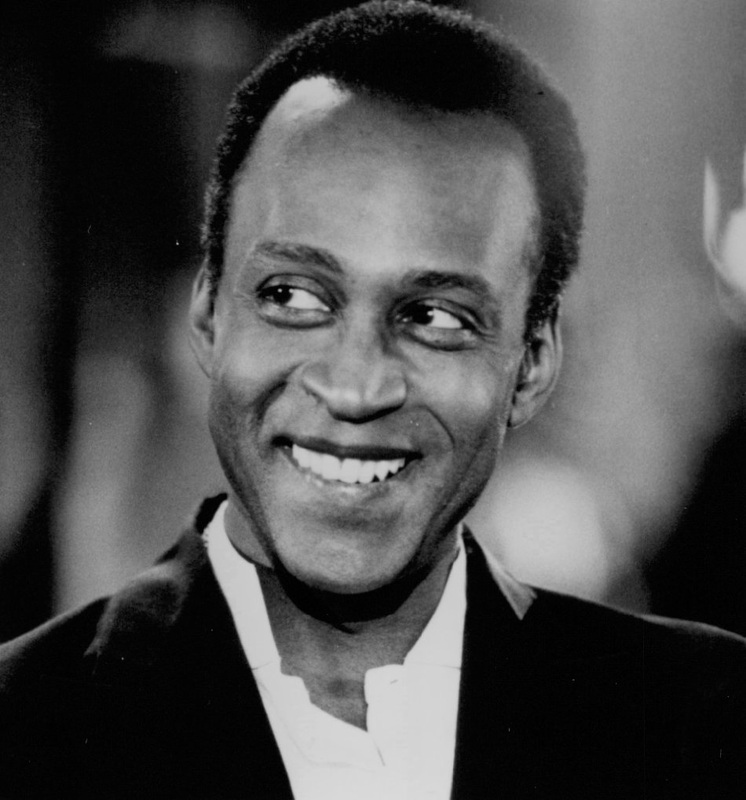 Cleavon Little was such a doll, we adored him he was always laughing, very jovial and kind. It was a marvelous experience to see him work as an actor to see him with his long gangly legs jumping around that stage. I would just look in such joy at where I had landed, that play was so joyful, positive and funny the characters were just fabulous. 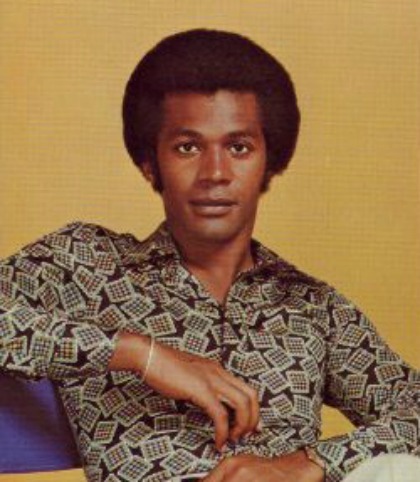 Novella Nelson became very close to me and we spent private time together...she is the one who introduced me to Clifton Davis whom I fell in love with, so we had this incredible romance, he was an up and coming star on Broadway. 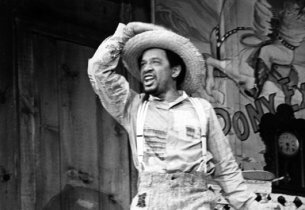 He was in the chorus at that time in the beginning of "Hello Dolly", starring Pearl Bailey and Cab Calloway, this was exciting, there was no other Black Musicals like this at the time. We came up at a time when there were many breakthroughs it was very, very exciting and romantic! Copa: How did you get to meet Clifton Davis? Melba: I don't know if I can remember it all but, we dated, it was wonderful. We ate at fabulous French restaurants, Novella and her Fiancé use to plan things together at her house and at many social events. It was really wonderful having new friends, romance and a whole new life, I don't remember exactly when I was invited to do my own TV show after I received my Tony Award. It was still during the time we were still on Broadway, many things were going on at the same time as with wonderful opportunities. We shot the TV show in Brooklyn, I remember that, basically Clifton, I and the writers had to come up with some of the concepts because there had never been another TV show with Black people, music and comedy with people who were supposed to be romantically involved with each other, it was really like black sitcom musical, this had never been done before so Clifton and I created the concept and helped write it. I don't remember speaking about this before but now as you are talking me back, there was a girl named Mildred Lane, I should give her the credit, she was so Hilarious. You know how some people are so funny? She was like that, we brought her to the set so we would have someone who was really funny to give the humor from a Black perspective although the humor had to be digested and understood by anyone who was viewing the show. The writers of the show were White but they could not write from our perspective and that's how we put it all together. 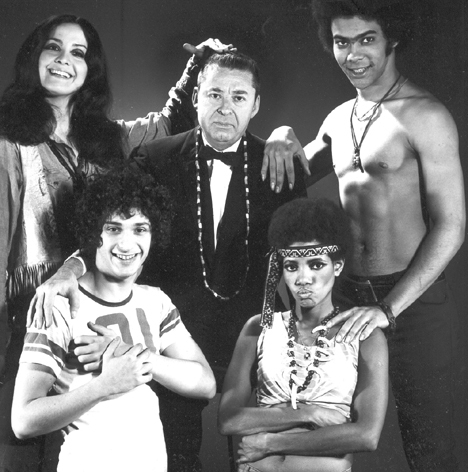 It was called the "Melba Moore Clifton Davis Show. That was a lot of pressure, I was not a writer and if you didn't come up with something you wouldn't have a show. The writers of the show wanted to know what was tasteful and needed our input, this was the only way to capture our true personalities so we would assist them in creating the correct environment to present to our television viewers. Copa: What happened after the TV Show? Melba: The collapse of my life and my career, Clifton and I broke up. I really didn't have management so there was nobody to pick up my career and make a business of it to turn it into a full fledged TV show or any other opportunities. Later I got an agency and was placed with several bookings around the country but because I didn't have proper business management it all fell apart. Copa: Okay let's move forward a bit because there was a recovery. Melba: I guess so because I'm still here! Copa: How did things turn around? Melba: Well. as I stated earlier the relationship with Clifton broke up, during that time I got pregnant by Clifton and had an abortion which I would never recommend that for anyone. But after that I had an IUD inserted into my Uterus so wouldn't get pregnant again and it ruptured my appendix. I experienced a really bad time, I not only lost my career but I was about loose my life because of all of of these things. They have new proceedures now but they are not all safe, I'm saying this for everyone's benefit. Now I'm a born again Christian, I wasn't then, if I had known what I know now I would have had the child and would never have had the abortion. So that's my public confession, I don't have any secrets regarding my personal life and what my beliefs are. It took me over a year to get back on my feet and try to get back to work an everything, and of course all of my money was gone. The people who were managing my money robbed me blind. I know you call me a 'triple threat' but I had no background in business. My parents are typical of artists of that era, they knew nothing about business and I would say that was typical of African Americans. It always reminded me that we didn't come here on an even playing field we came here as slaves and anything we've learned about business, education, about caring for ourselves we had to fight for. No one wanted us to know anything about power. People who know about business will not tell you because they want to maintain that power over you, unfortunately most of the time you come in contact with business people things happen. Not all business people are dishonest but those who are dishonest sometimes if you don't lookout you can be a 'neon sign' for these types of folks to come aboard and just bleed you dry. I was one of their victims. It took took me about a year to get back on my feet, I was trying to get myself work. I was doing a benifit at the Apollo Theatre when I met my now ex- husband Charles Huggins. The reason I met him is because I happened to be at an after party, someone else was there that knew both of us so we were introduced. So we got to spend some time with each other and started dating. Eventually we became engaged and later married, he became my Manager and we started HUSH Productions. Copa: Please tell us about HUSH Productions and how it was started. Melba: It started with me, I was the only act, we were looking for managers for me, but since my career was so different from most Black people's careers We couldn't find a manager who ever managed a Black woman who was an R&B recording Artist and also performed on Broadway as well. So what we did was assemble a stable of managers who had groups of artists so what Charles did was get people in theatre, people who recorded, people who were performing in Cabarets and concerts. This way we had cover many departments because every time we ran into a manager, he would say that he or she couldn't do this or that but what they were really saying was they couldn't really do it so Charles and I knew that they weren't really right fit for the task. These managers were supposed to be the experts but they would keep telling me about things that I had already done. Earlier there was one guy who said that he wanted to get me into a production of "Hello Dolly" but I didn't have a theatrical background, he didn't realize I had extensive experience on the stage, by the time he told me that I was already in "Hair! "So HUSH Productions started with me as an Artist. So first they got me back into the theatre with Timbuktu or should I say we got it. I managed with myself and my Husband in the beginning. 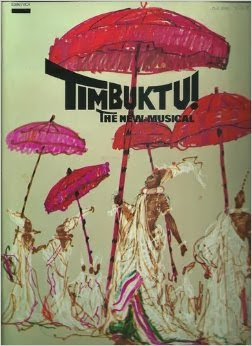 Copa: In the production of Timbuktu, what was your experience working with talents like Eartha Kitt and Geoffrey Holder? Melba: Geoffrey was just an amazing person who was bigger than life, he was like a big Genie, I think he was a Genie that came right out of a bottle, everything was magic to him. He did everything, he was a dancer, a choreographer and director, he was everything. He created the costumes and the whole look of the play. Eartha was a consummate professional, a great actress, dancer and Diva , she was in charge when she took the stage...outstanding. She came along in a time when Black people didn't get nothing and you had to be 20 times better than anybody else and she was...there was only one Eartha! 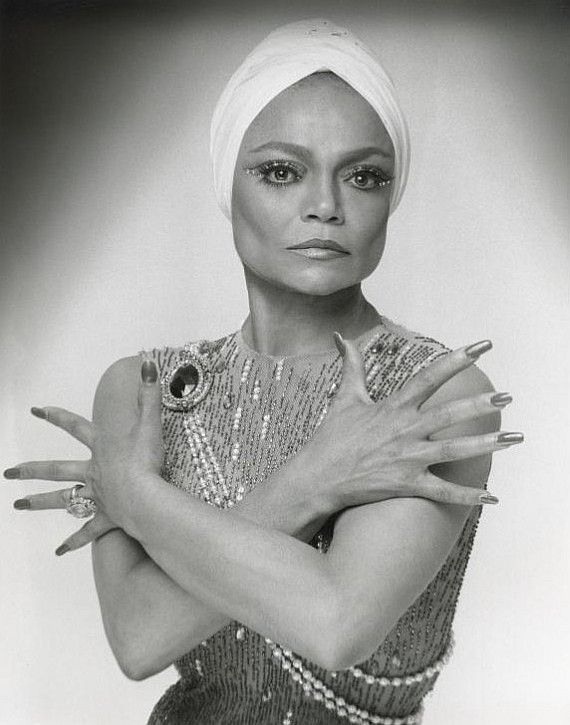 Copa: Were there any lessons to learn from Eartha Kitt? Melba: I'm not sure if I learned any lessons. By the time I did Timbuktu it was my third role, I had to be in my character. I could see what her persona was, could see that I was gentle, for instance as a feminine character I was not a femme fatale, Eartha is, I was the sweet girl next door type of girl and you kind of learn your personality I think in your role. But I don't think it was a situation that when you were around her that you could really learn from her... I didn't see it that way, we both had are parts to perform, we were almost playing roles opposite from each other. Copa: What memorable experiences with the cast that stand out in your mind from your time performing in Timbuktu? Melba: What comes to mind is a Quartet that we performed called "And This Is My Beloved" it was so beautiful Ira Hawkins was Eartha Kitt's love interest, I don't think that he was ever a well known celebrity but he was so beautiful and so talented. My love interest was Gilbert Price, a beautiful, handsome and sweet leading man and I was the lovely girl. I think this was typical of what Timbuktu was all about, very classical simply flowing. The colors were full of beautiful pastels and the wonderful bodies of the dancers moving gracefully around the stage, it was a beautiful fantasy! Copa: Fabulous, it does appear this was an interesting time during the earlier parts of your recording career, we'd love to hear more. 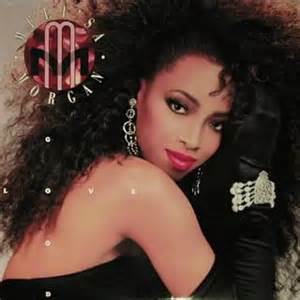 Melba: I remember the first hit was called "This Is It", the music was more Pop, it was written by Van McCoy ! 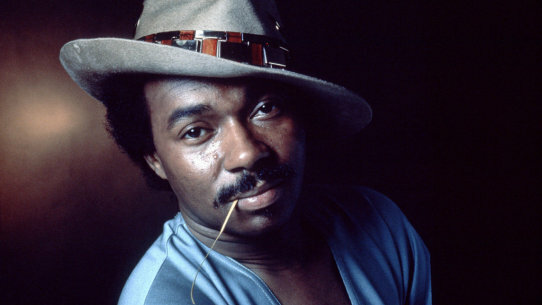 Copa: Van McCoy, that's a DC Native. How did you get together? Melba: I have to give Charles Huggins the credit for this. it's what I was saying earlier, you can be a 'triple threat' but if you don't have someone making business deals for you your talent will go nowhere. Charles found these great producers, contacted and negotiated with the record companies, and dealing with the executives on my behalf and making them pay attention to my talent and arranging the contracts. This is what a good manager does, he did a fabulous job of it, so he's the one who set me up with Van McCoy. Copa: "This is it" was a great recording, let's talk about it. Melba: I love that song, it was on one of Aretha Franklin's records, you know how we all feel about Aretha Franklin, she's our Queen. So I took that song and started performing it, right from the beginning it clicked with audiences. By the time I met Van I reminded him that he wrote it and by that time I had developed my own arrangements with different notes and everything. 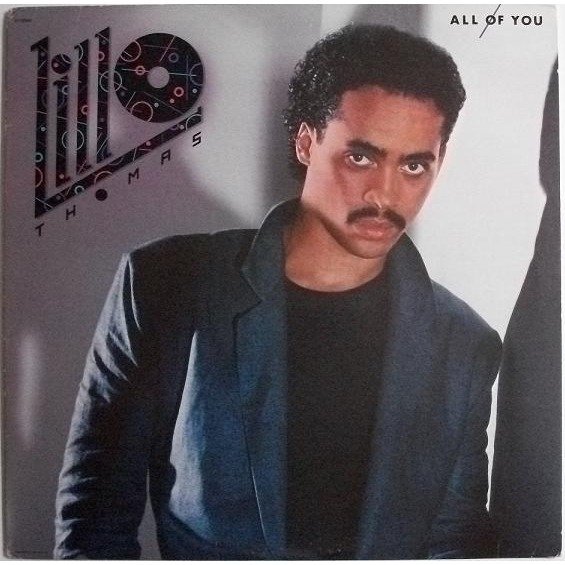 That year on the same album I had "This Is It" and "Lean on Me", this was my first album, it was very successful. This was 1977, in 1979 "You Stepped Into My Life" was recorded. 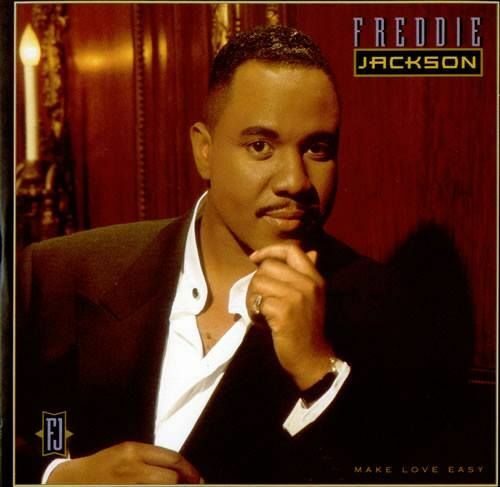 Copa: Freddie Jackson, how did you meet him? Melba: I worked with him in various recording sessions an of course once again through the management of Charles Huggins who arranged several song writers and producers for me. One of the ways I worked with Freddie in the beginning is when he wrote some songs for my records and also sang back up for them. I went to see him perform and was very impressed with him? With the suggestion of Charles and I, we told him and the people at HUSH Productions we felt that he should be a lead singer so when I took him on the road with me as a back up and I was featuring him in the middle of my shows and that's how we started to launch Freddie. Also Freddie came with Paul Lawrence, songwriter/ producer who wrote a huge hit for me "Loves Coming At Ya" and Lillo Thomas who was a great songwriter who wrote "Mind Up Tonight". When I acquired Freddie many talented people came with him. Copa: How did McFadden & Whitehead come into play? 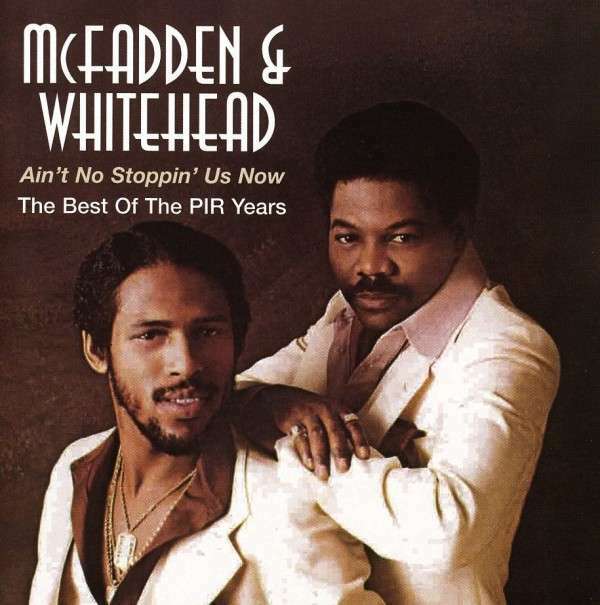 Melba: McFadden & Whitehead arranged "You Stepped Into my Life", it was there talent that made it such a wonderful success for me, otherwise it would have just been another Bee Gees tune, M & W put the Philadelphia Funk to it. Copa: Where was all of the musical production taking place? Melba: Our Headquarters was at 231 West 58th St. We had our own office building. My ex-husband Charles had a knack for entrepreneurism he conducted a lot of business in Real Estate, in fact the restaurant I met him in when we started dating used to be called Frank's Restaurant, it was a landmark. At one time Black people couldn't go in that restaurant cause later on it became a favorite place for people in Harlem to come down to eat there, but then he bought that place and renamed it "Charles' Gallery" and it became a landmark because he became the first Black owner of that place. That's just one example of Charles' business talent and ability. With us joining forces with our talents I was able to revive my successful career. Copa: So basically it was all about recording and bringing in new talent with HUSH Productions? Melba: Yes I really focused on recording, touring working with talents like Freddie Jackson, McFaddan & Whitehead, Lillo Thomas, and Kashif who wrote "Love Come Down" for Evelyn "Champagne" King, "You Give Good Love" for Whitney Houston. 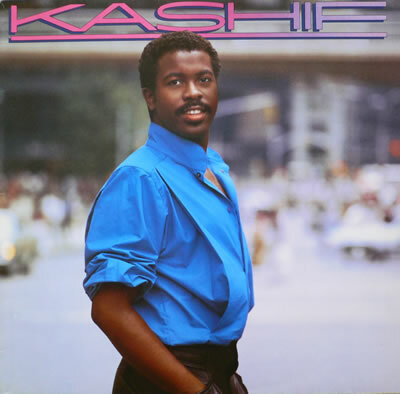 We really signed on a lot of fantastic singers and song writers at HUSH Productions for the rest of the 80's. We also picked up Force MD's and Meli'sa Morgan. Copa: Was there a specific sound that HUSH Productions was looking for? Melba: Well Charles and his brother Beau were at the helm and had a special feel as to what was happening with the sound on the street. They had a natural ability to comprehend music. We built HUSH to the point where many more musicians, performers and songwriters would seek us out. So they came and we picked what we felt was great music. Copa: So what became of HUSH Productions? Melba: Charles' interests had changed and we had moved in two different directions. Copa: Let's move on to the next chapter of your amazing life. Melba: Well I picked myself up and focused on what direction that would be good to take. I looked at people like Lilly Tomlin, Whoopie Goldberg and how they wrote stories about themselves, they fashioned performances based on their own biography. So what I did was write a play about my life, I didn't write anything about it before but decided to start with something I knew and reflected me. I found some friends along the way who helped me script it and then put it into a workshop, I'm telling you this because I didn't even get the whole thing up before I was in a little town called Hollywood Florida at a small theatre and I invited critics to come down to give me a few pointers and show me how to move forward in developing it. It really wasn't being showcased in a full play form. A man by the name of Richard J. Alexander came in to see it and he thought the play was fabulous in terms of where it was, he knew the play wasn't finished or anything. He said that it did showcase my acting abilities and a side of me that he didn't know. All he ever knew about me was "Purlie", so that was the type he only knew. He happened to be the talent coordinator for the Broadway show "Les Miserables", he thought I would be perfect for the role of 'Fontaine' on Broadway, not on tour! So he called me periodically to reassure me that he was serious about bringing me in and promised me that I would be hired. Of course you know that "Les Miserables" is about the French Revolution and not about Black people and is a great opportunity for a Black actress it would be spectacular. A very serious play, I had a Tony Award, that was important, I only performed in two plays and not really considered myself to be an actor yet. Copa: What became of your play? Melba: I call it a "One Woman Play in Two Acts: The Melba Moore Story, Still Standing", it has won awards and has been in production for the last 15 years and started in 1998 in Florida and has toured around the country. Melba Moore is now working on her brand new forthcoming CD "Forever Moore!" Listen and Enjoy!